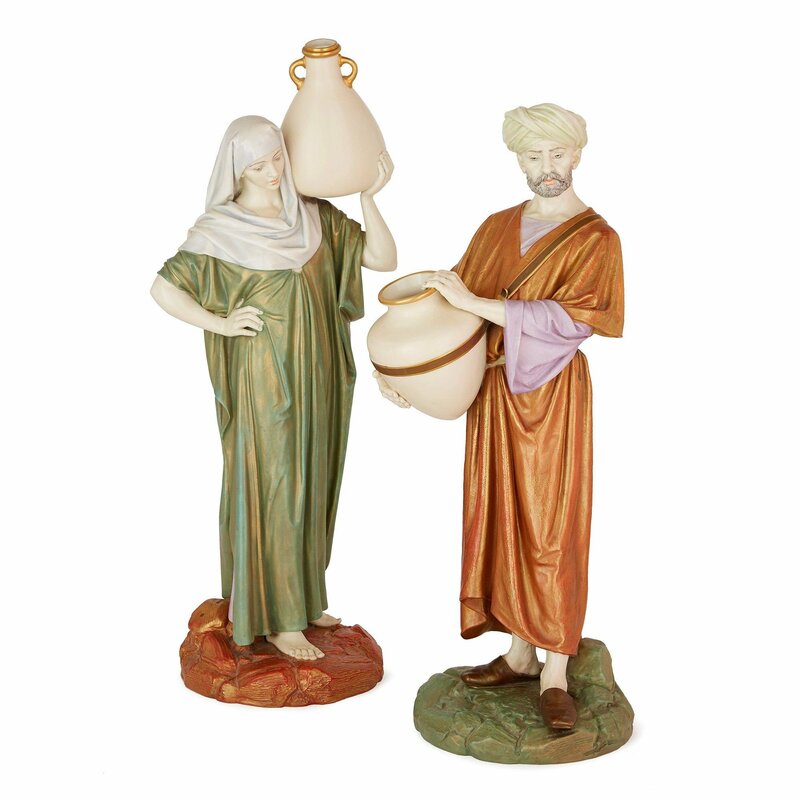 A stunning example of late 19th century British porcelain work, this Orientalist pair exude a delicate elegance characteristic of the period. 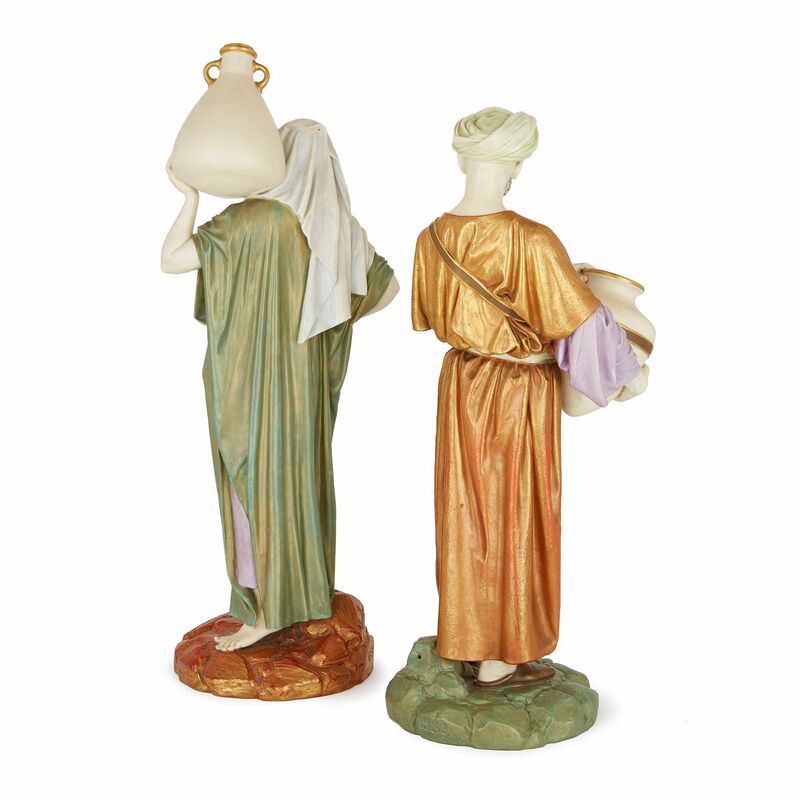 Two figures stand in repose, each carrying a ceramic water jug, marked on bases '1883' and 'Hadley', impressed and printed from their crowned circle to the underside with the marks 'V3, PATENT MET'. 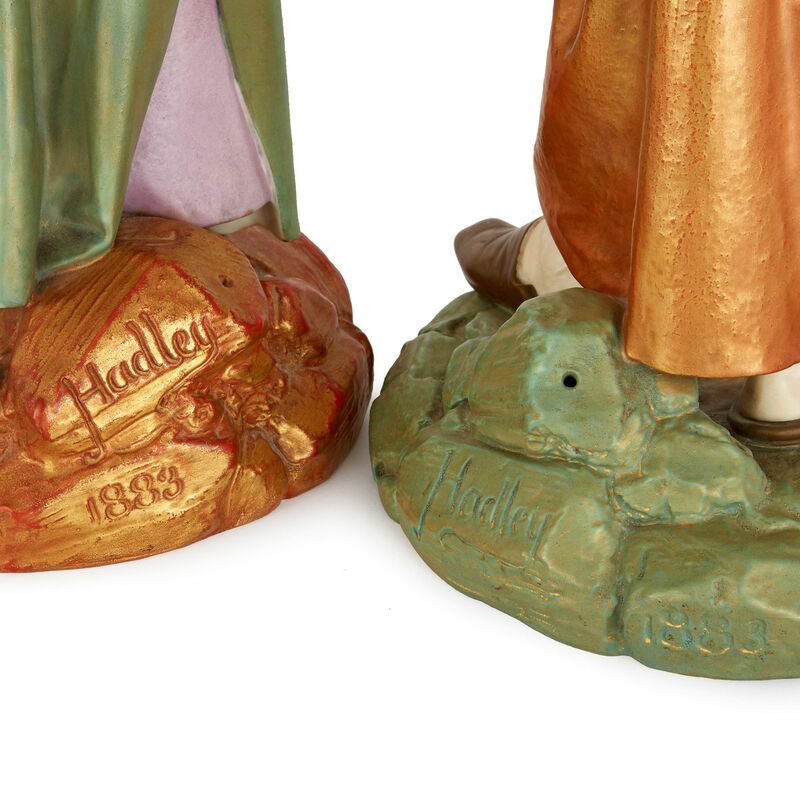 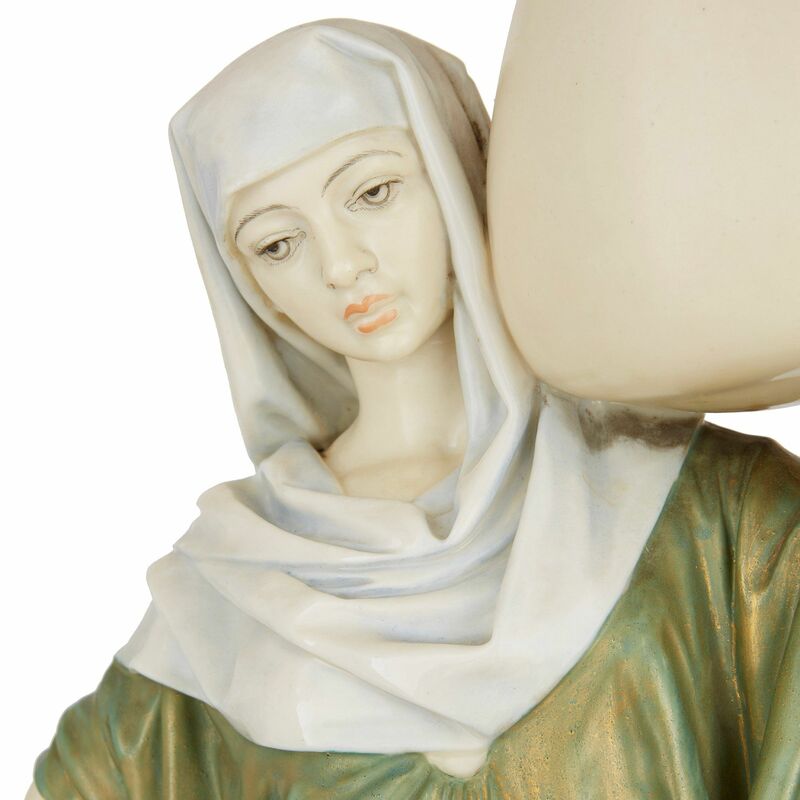 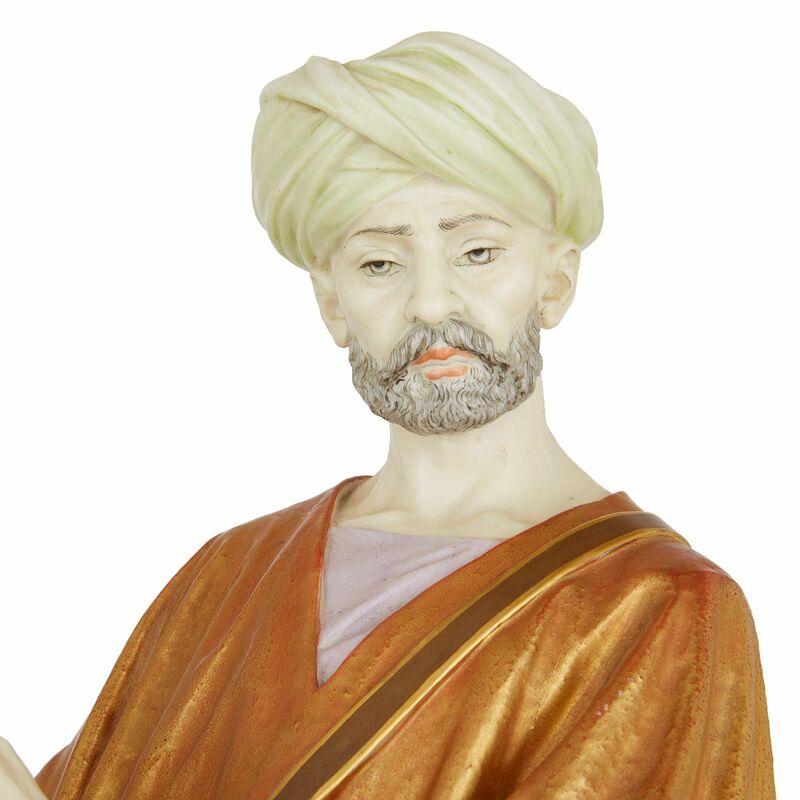 Designed by the British ceramicist James Hadley (1837-1903), a brilliant example of Hadley's skillful work, which is famed for its beauty and attention to naturalistic detail.